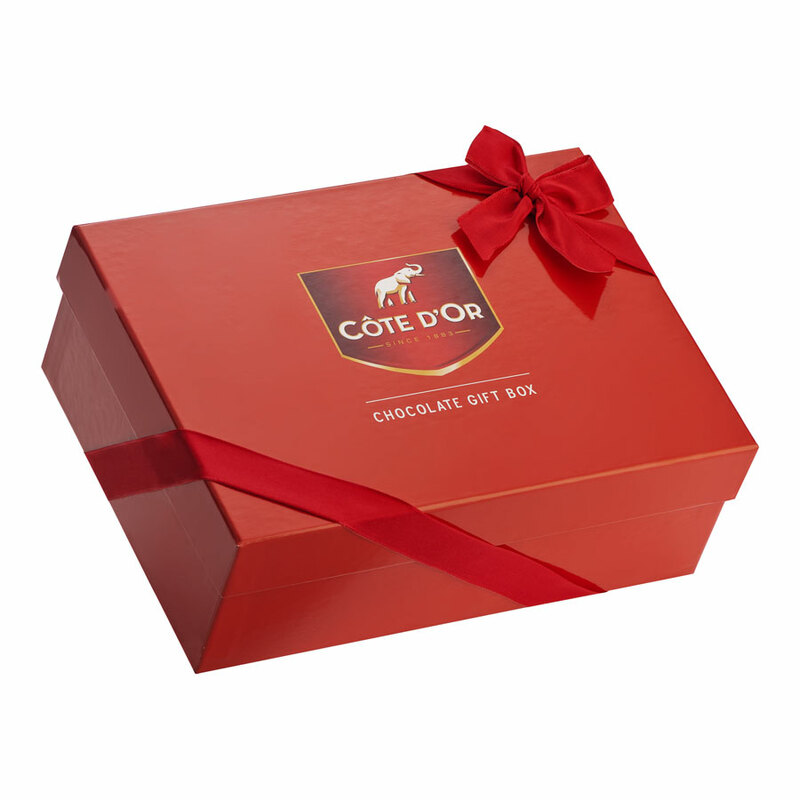 Nestled inside our luxury red box you'll discover the many exquisite flavors and textures of Belgian chocolatier Côte d'Or. 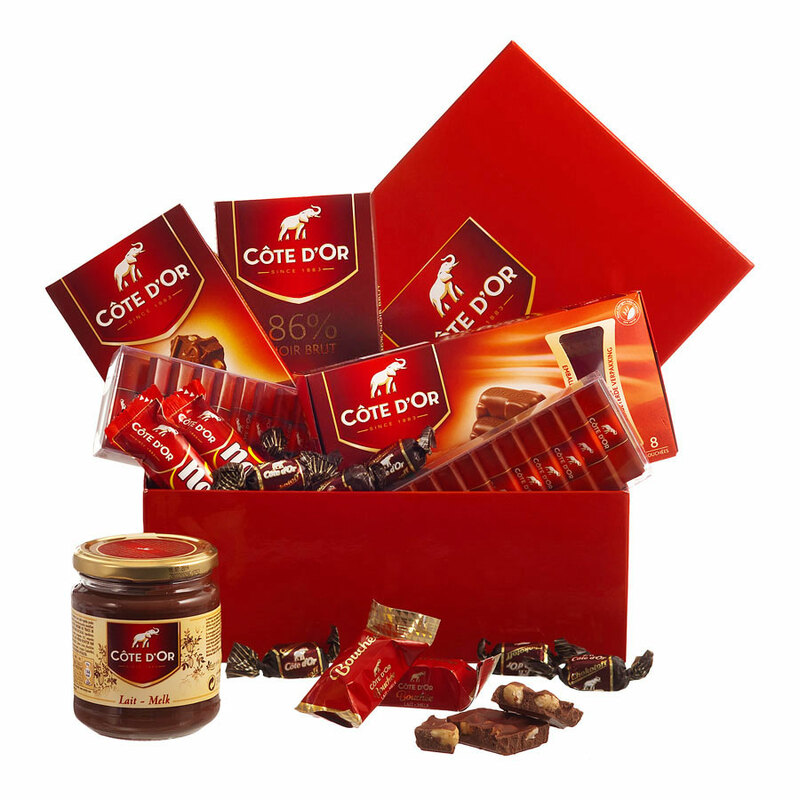 Since 1883, Côte d’Or has been producing chocolate according to a time-honoured recipe, creating its authentic and unique taste. This ultimate chocolate gift features a crowd-pleasing combination of milk and dark chocolate, nougat, and other favorites. Take your time discovering and savoring individually wrapped Mignonettes. Covet the mouth-watering Bouchees--chocolate filled with Hazelnut, Almond and Cashew nut Praline. Indulge in the richness of this mouthwatering Belgian chocolate gift box; it is sure to become your favorite chocolate business gift to give - and to receive!